In this tutorial, we will explore a some of the examples provided with the SmartLED shield using different RGB LED matrix panel sizes. 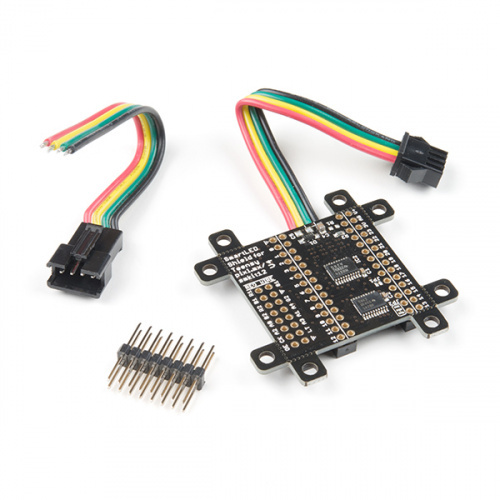 Click Here for More 5V Power Supplies! 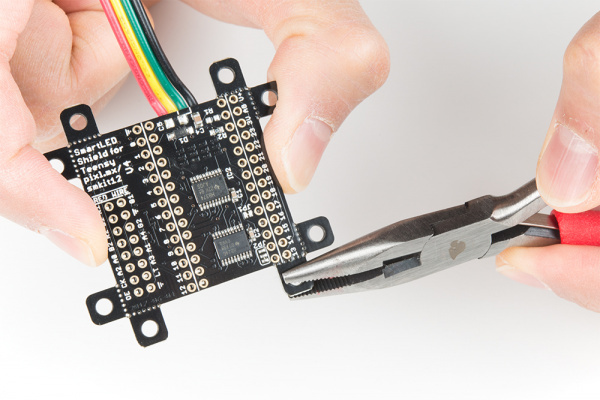  Tip: If you are prototyping with the shield, try grabbing some square header pins, jumper wires, and a breadboard to connect. Make sure that the jumper wires are square pins for a secure connection with the female header populated on the bottom of the SmartLED shield. The shield breaks out the RGB LED matrix panel&apos;s IDC pins. Simply align the silkscreen with the panel&apos;s input and stack it on like a backpack. As an alternative, you can use an IDC cable and the included 2x8 long, centered header pins. Just make sure to align the cable's red wire with the silkscreen labeled RED WIRE. 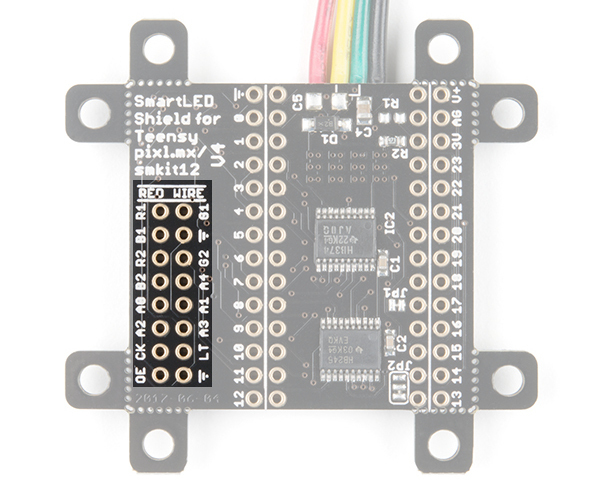 The shield includes mounting holes by each corner of the board. They can be used to to mount the shield when using the IDC cable. They are held to the rest of the board with mouse bites. Each of the mounting holes can be removed using pliers. The image below shows highlights the mounting holes with red lines along the mousebites. 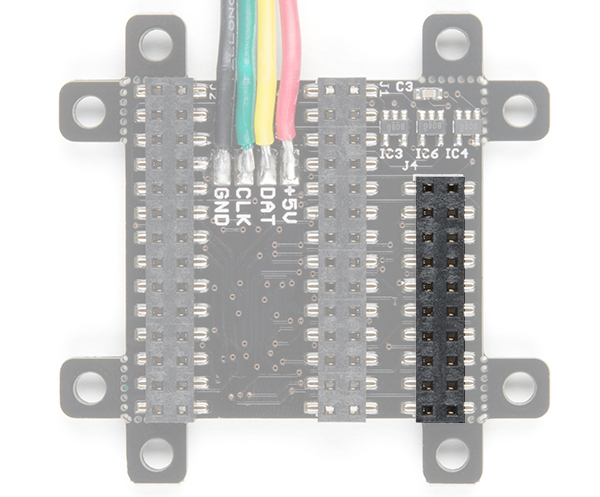  Tip: If you are using a Teensy 3.5/3.6 with headers populated beyond the 1x14 pins along the side of a Teensy, you will need to snap off the mounting hole below pin 13. Certain panels may require 5V logic levels, which may not be enough with the Teensy&apos;s output pins. While you can try to wire all 16 pins from the Teensy to the IDC cable, it is not the most reliable connection. The panel may flicker or fail to display properly. 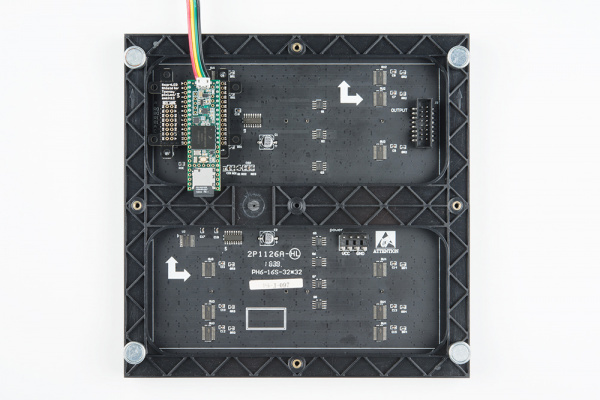 The SmartLED shield was designed to include level shifting buffers to safely and reliably control the RGB LED matrix panels. 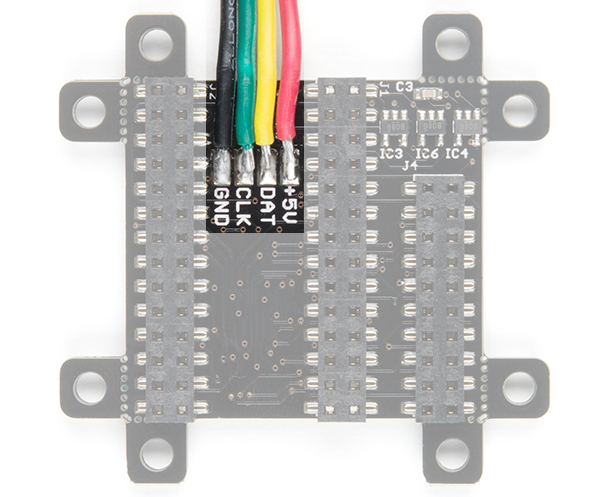 Tip: If you received a shield with the 2x8 header pins installed and decide to add the shield to the RGB LED matrix panel&apos;s IDC connector as a backpack, you can remove the headers from the shield. Otherwise, you can leave the 2x8 header pins inserted and connect using the IDC cable. 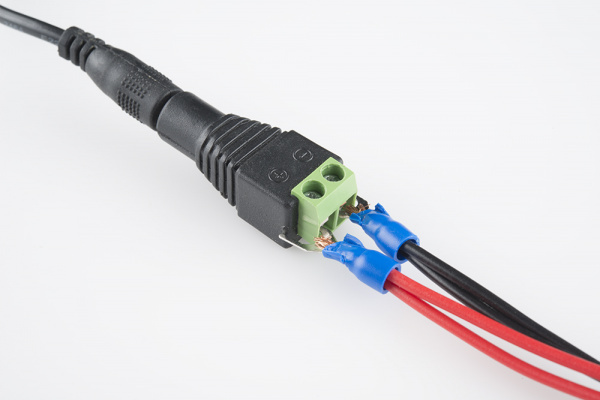 If you have not already, attach a 5V power supply to your RGB LED matrix panel&apos;s power cable. 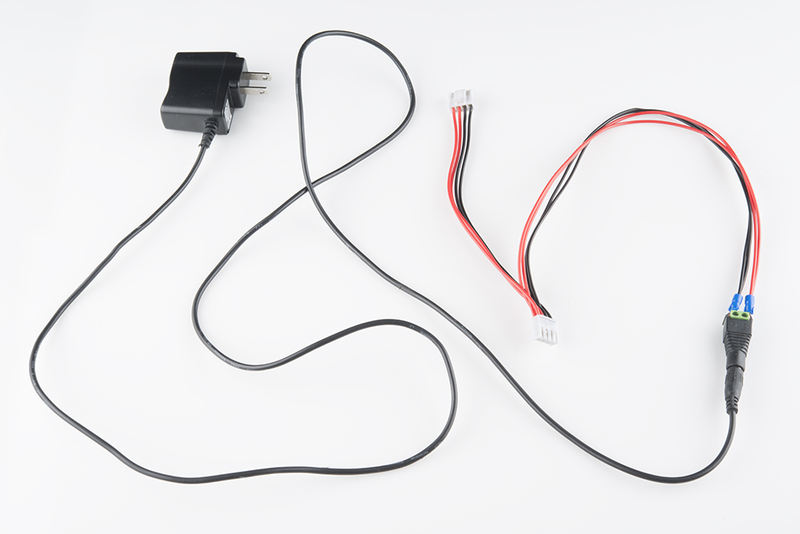 If you are using a power supply with a barrel jack, you can use a female barrel jack adapter and screwdriver to get a quick and dirty connection between the spade and barrel jack. 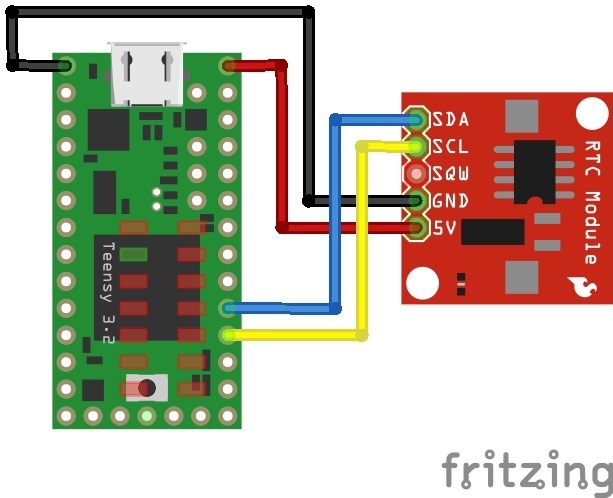 For the scope of this tutorial, we will connect 5V USB power directly to the Teensy&apos;s USB connector. 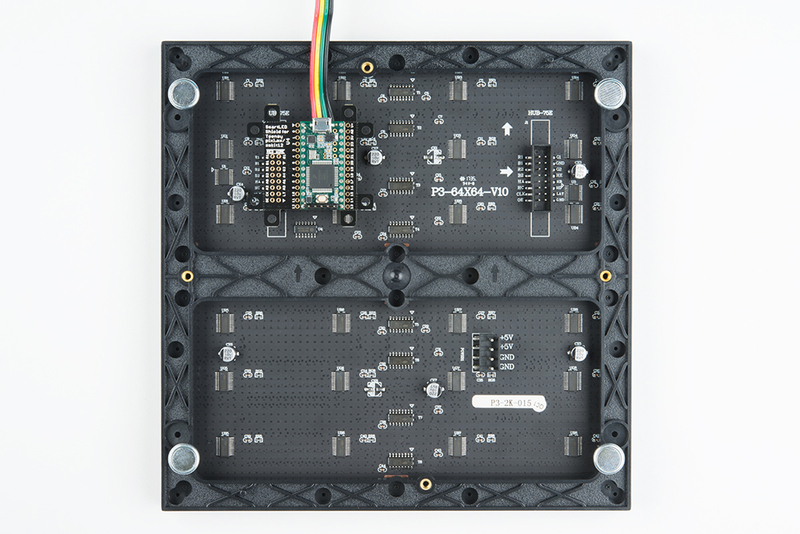 This is separate from the power supply that is powering the RGB LED matrix panel. Depending on your setup, you can use the same power supply that the RGB LED matrix panel is using by connecting to either the Teensy&apos;s V+ and GND pins or the APA102 JST SM connector. Just make sure that the voltage is regulated at 5V. Heads up! When powering the Teensy via the micro-B connector, make sure to hold the connector against the PCB with your thumb and index finger while inserting the cable to avoid pulling the USB connector off. 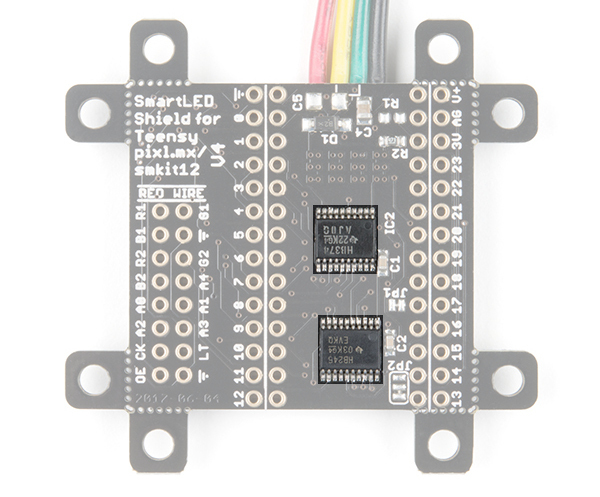 If you plan on moving the panel frequently, you may want to consider connecting power the Teensy from either the SmartLED shield&apos;s V+ and GND pins, or the APA102 JST SM connector. As explained earlier, you can try to wire all 16 pins from the Teensy to the panel&apos;s IDC cable. It is not the most reliable connection. There is a higher probability of wiring incorrectly or a connection becoming loose. For more information on trying the connection, check out the table below. This connection is not possible when wiring to a 64x64 panel due to the extra 5th addressing pin. 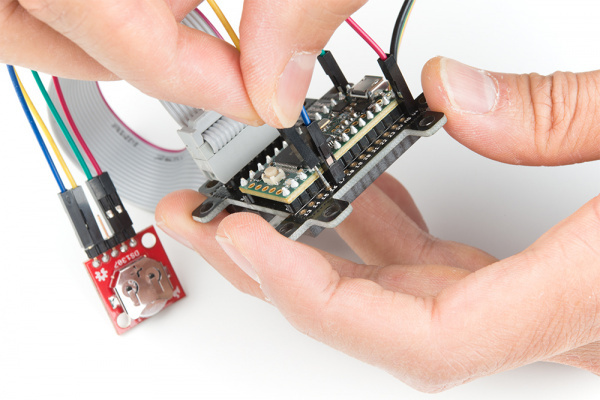 If you haven't used Teensy before, you'll need to download and install the extension for the Arduino IDE called Teensyduino from PJRC. This will also install the drivers for the board. Follow the instructions on installing the add-on before continuing on. Let&apos;s try modifying the example code to work with the 64x64 panel with a 1:32 scan rate. 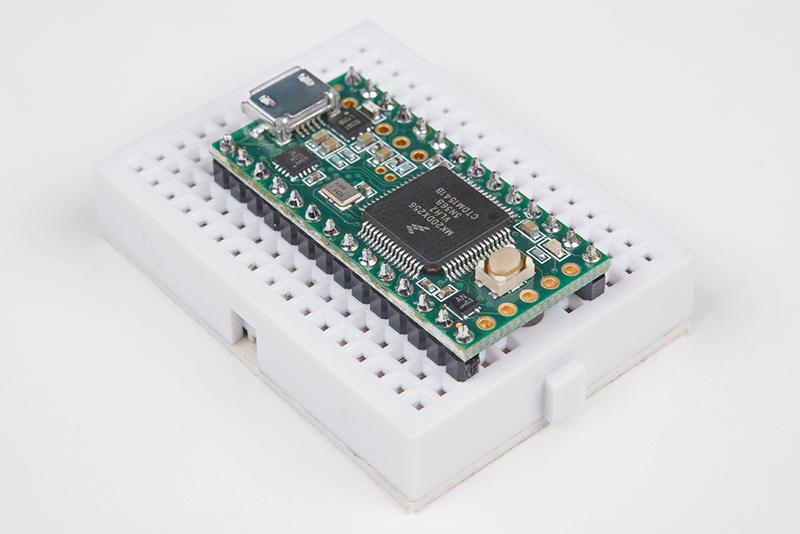 The SmartLED shield is required to address the extra 5th ADDX pin on the IDC connector. uncommenting line "#include <SmartLEDShieldV4.h>" by removing the "//"
Note: Notice that the GIF contains scan lines as the animation is displayed on the panel? This is due to the way the animation was recorded on video. You should see a smooth transition in real time as the panel displays the animation. Let&apos;s try modifying the example code to work with two 32x64 panels with a 1:16 scan rate. 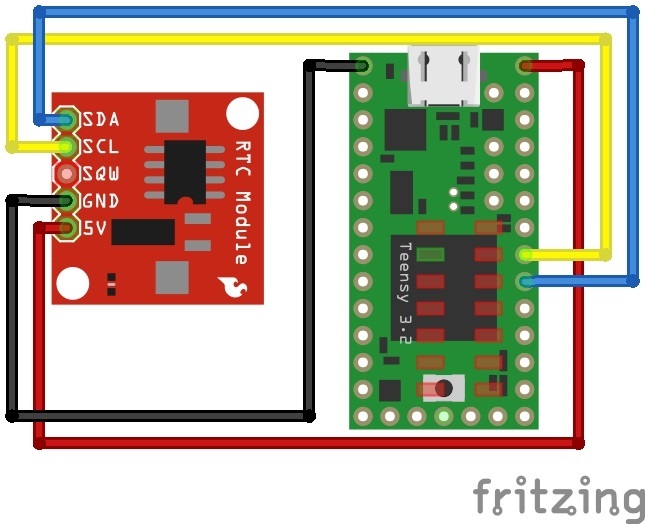 In this example, we manually wire the connection to a Teensy 3.2.
leaving the line "#include <SmartLEDShieldV4.h>" commented out by using the "//"
Make sure that you installed PJRC&apos;s DS1307RTC and Time libraries with the Teensyduino add-on. You can check by viewing the Arduino program folder where the files were installed under. 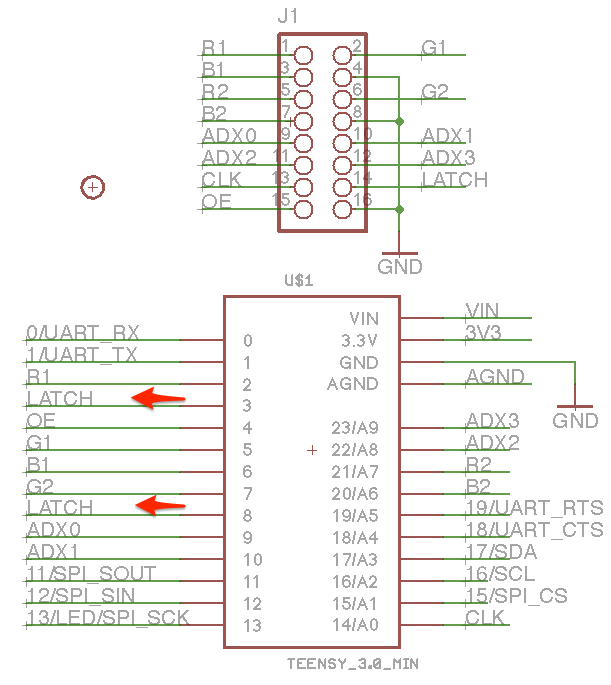 In this case, it was in the "...Arduino\hardware\teensy\avr\libraries" path. 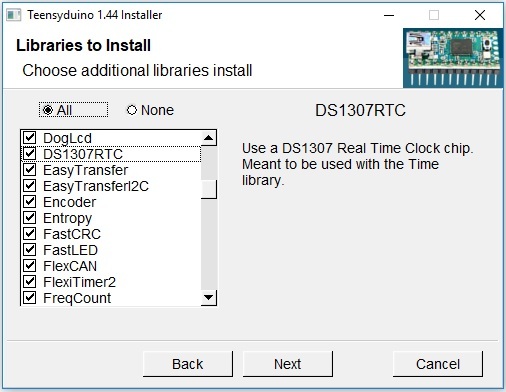 In the Arduino IDE, open File > Examples > DS1307RTC > SetTime.ino. The sketch will automatically set the date and time for the RTC from the compiler once you upload. You will need to run this code if the battery was removed or the time does not match your time zone. 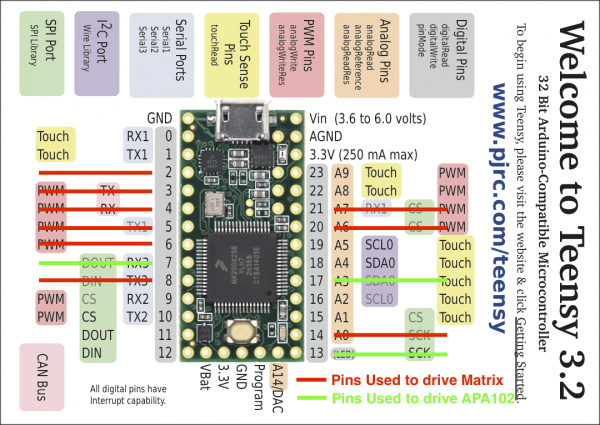 Select the Teensy board definition with the associated COM port and click upload. To check if the clock matches your computer&apos;s time, simply open the Arduino serial monitor set at 9600 baud. You should see an output similar to the one shown below. 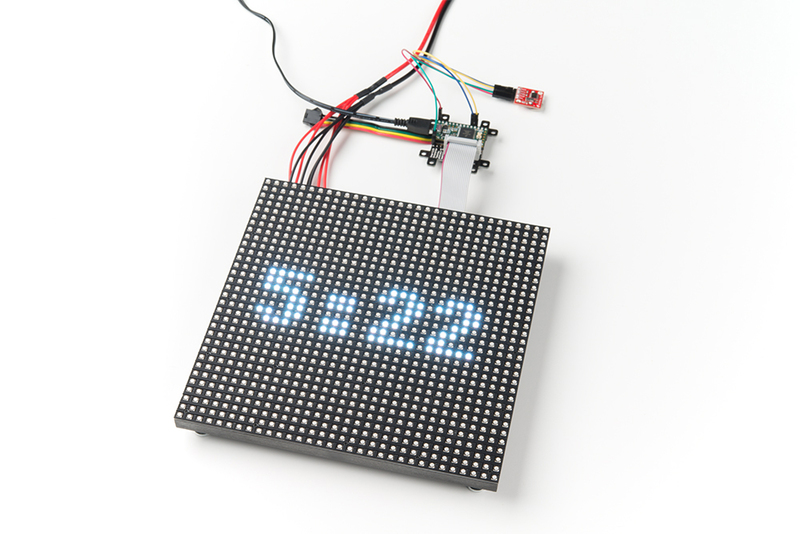 Now that the clock is configured, let&apos;s output the time to the 32x32 panel! Notice that the wires are in a different location and flipped? Well that&apos;s because the I2C pins are redefined for the SmartMatrix Shield! Make sure to move the pins and switch the order that they are connected. 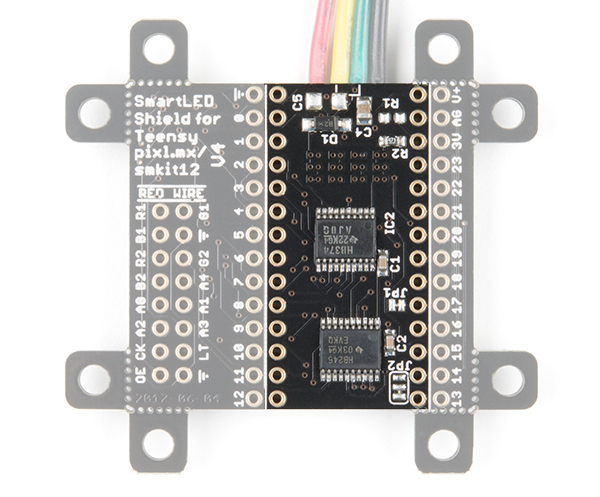 uncomment line "#include <SmartLEDShieldV4.h>" by removing the "//"
If you haven't already, solder the headers on the Teensy 3.6. 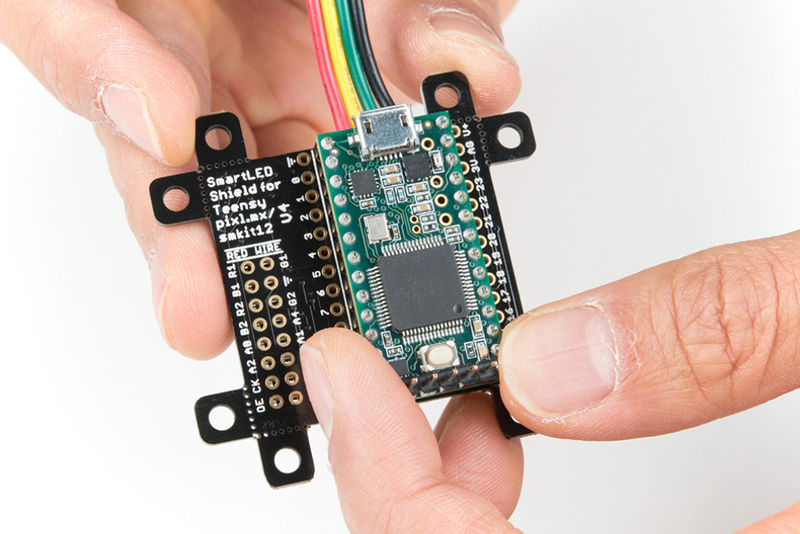 Then insert the development board into the SmartLED shield&apos;s socket. 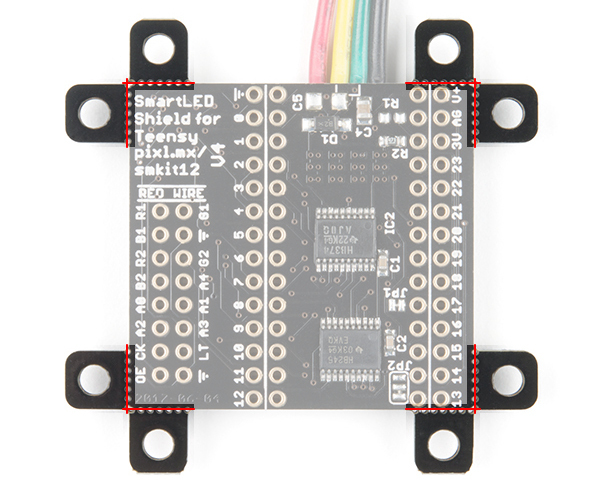  Tip: If you want to take full advantage of the pins on the Teensy 3.5/3.6, you will need to add headers beyond the 1x14 pins along the side of a Teensy and snap off the mounting hole below pin 13. Once the folder is unzipped, make sure that the AnimatedGIFs.ino file and all associated files are under the same folder name called ".../AnimatedGIFs" as shown in the image below. 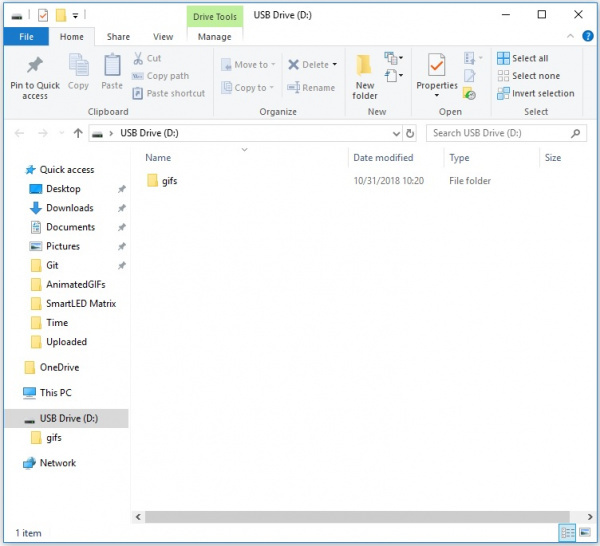 uncomment line "//#define SD_CS BUILTIN_SDCARD" by removing the "//"
comment next line "#define SD_CS 15" by adding the "//"
The next step is to add the .../gifs folder into the microSD card. 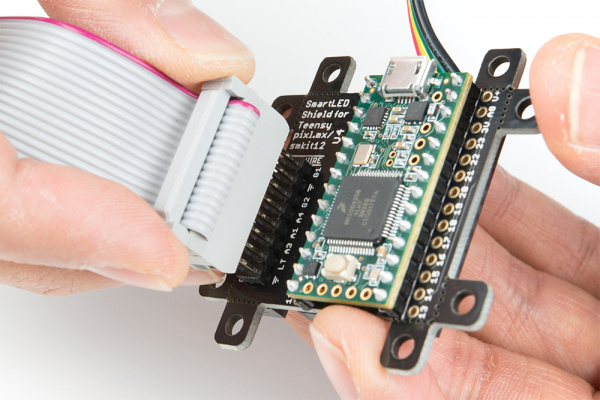 Remove power from the Teensy 3.6 if a microSD card was inserted in the socket. Connect to the memory card using a card adapter or microSD USB reader. 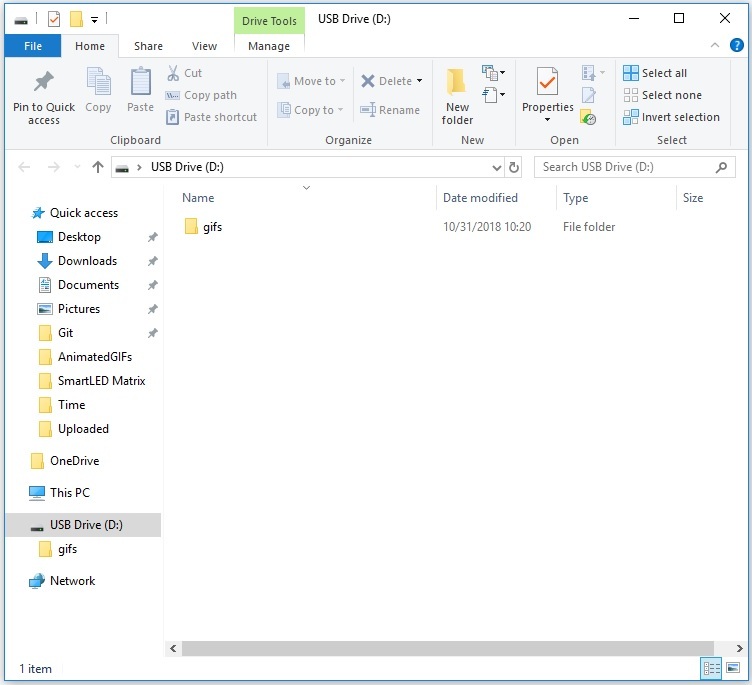 Copy and paste the .../gifs folder into the root directory of the memory card. Stack the board on the panel&apos;s IDC connector. 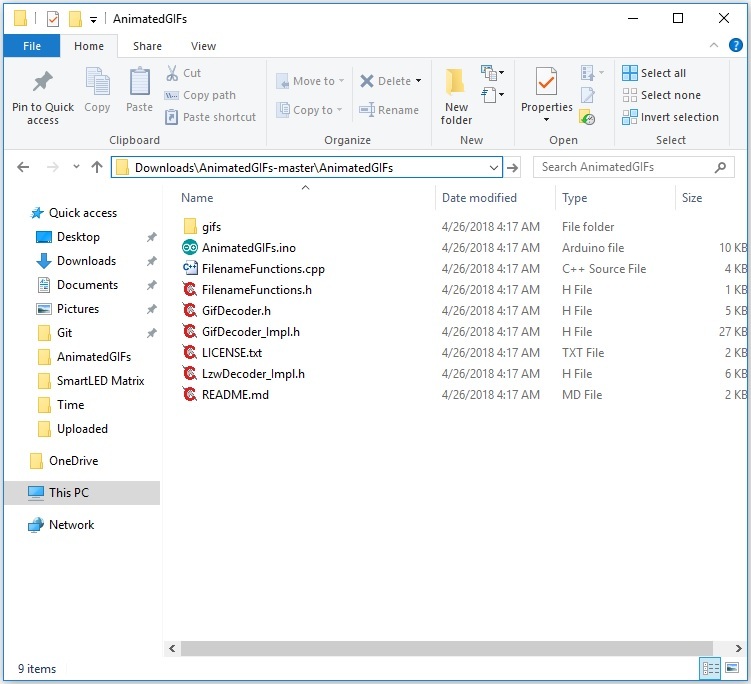 Simply copy any file with the *.gif extension and include it in the .../gifs folder as explained earlier. The 10x weather GIFs are neat animations if you want display the current weather on a panel for your next cloud connected IoT project! 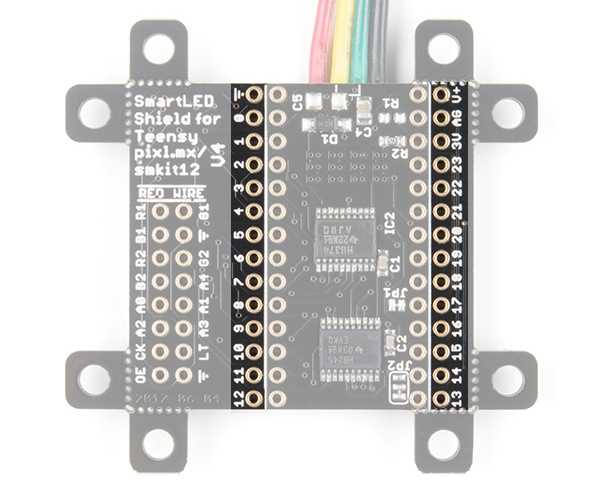 Now that you've successfully got your SmartLED shield for Teensy up and running, it's time to incorporate it into your own project! Need some inspiration for your next project? Check out some of these related tutorials using a Raspberry Pi or an ESP32 to control the panels! 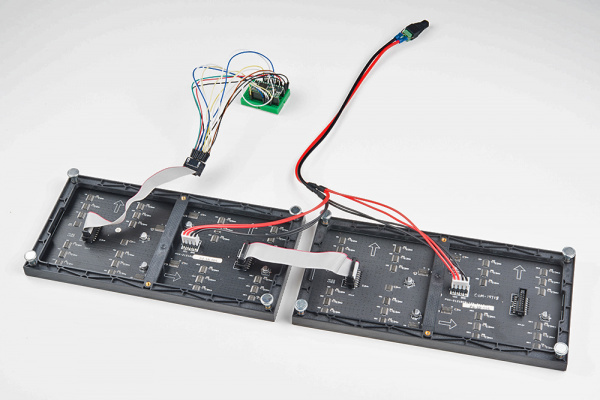 Keep in mind the boards require a different library to control the RGB LED Matrix Panel. 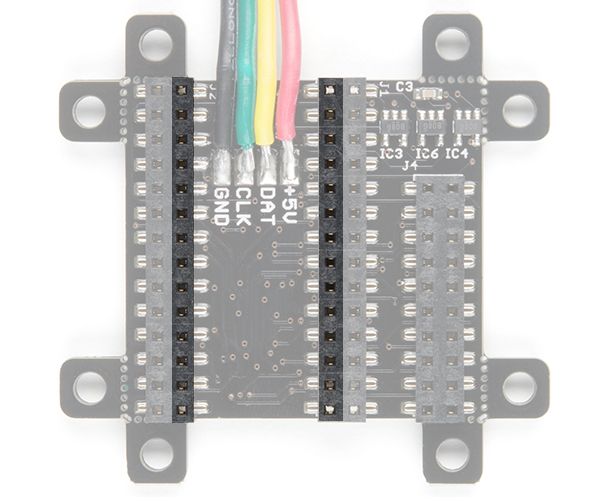 Maybe try making a hover pong game with the 32x32 RGB LED Matrix using a gesture sensor and the SmartLED Shield. 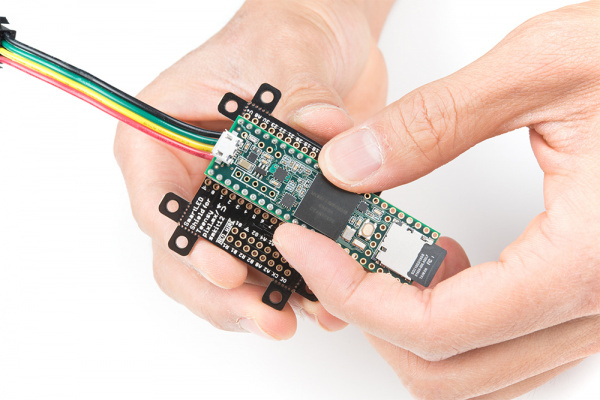 The example code can be found in the GitHub repo HoverPong. Note: Try mapping a touch panel with a matrix display using the SparkX 7 inch Qwiic capacitive touch panel [SPX-15104]!